Getting a termite tent service is vital when there are too many Drywood Termites attacking your structure at the same time. Drywood Termites in Pasadena CA cost homeowners thousands every year in eave, window and door frame repairs. 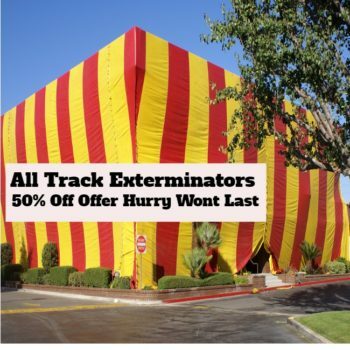 All Track Exterminators in Pasadena Ca has amazing offer to take advantage of. If you own a single family residence and live in the property. You must sign-up for their competition to save 50% off the retail cost of a tent fumigation for Drywood Termites.